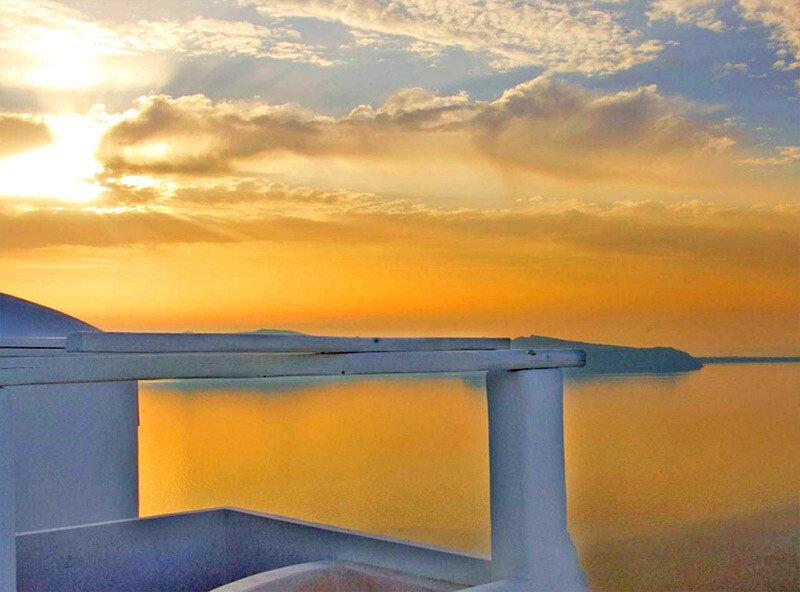 Rocabella Suites is an A-class hotel perched on the cliff outside Santorin’s Imerovigli village. All studios and apartments are cozy with every modern convenience available, such as air-conditioning, kitchenette, TV, direct dial telephone, hair dryer, safe-box and private parking. The décor is casual in the traditional island style and several beds are situated in lofts. Outside, restful verandas, two swimming pools, a pool bar and a tennis court, await to cater every mood.